To our valued guests: Since June 26, 2018, we have suspended the online reservation system utilized on our multilingual hotel websites due to unauthorized access to the server of FastBooking, the provider of the online reservation system. This unauthorized access resulted in the leaking of guests’ personal information. In response, FastBooking contracted a third-party organization to conduct a comprehensive security audit, and it has now issued a certificate of safety. In addition, Fujita Kanko, the manager of Yufuin Ryokyu, also contracted a security auditor to investigate the matter, and we have been granted a confirmation of safety as well. As a result, we will resume taking online reservations on our multilingual hotel sites starting November 19th until December　1st. Once again, we sincerely apologize for any inconvenience this has caused. and will contract an outside IT security company to conduct regular check-ups. We look forward to reoffering full online reservation functionality and welcoming guests at our hotel. 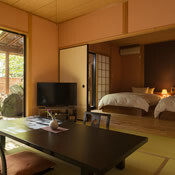 Nestled in the surrounding greenery, “Yufuin Ryokuyu” has been established in Japan’s treasured hot-spring area, Yufuin. 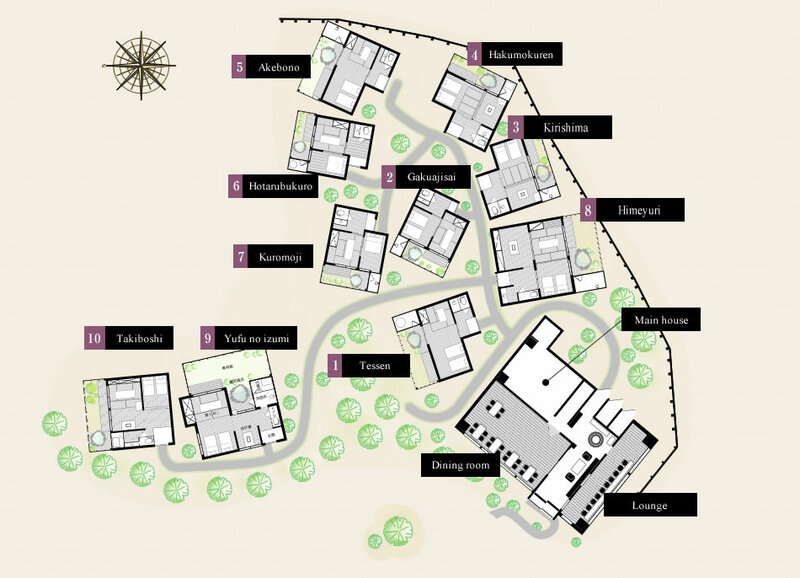 The inn features a total of ten cottages, each with a private open-air bath. Feel the Japan's golden oldie. Relish the Seasonal table. Relax in this sanctuary away from the hustle and bustle of the daily life. The sight with a sense of warmth. Feel the tranquil, harmonious atmosphere. Enjoy a special holiday in this calm and charming hearth. Experience the Japan's golden age. 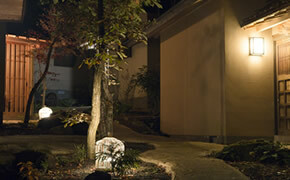 Green alley leads to your Sanctuary.The warm hospitality of Yufuin Ryokuyu starts here. 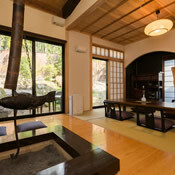 In the main house, this relaxation space offers a vast view of the city in Yufuin basin. Enjoy the passage of time, gazing at the sky and its slowly changing colors. 10 lovely cottages are ready for you. 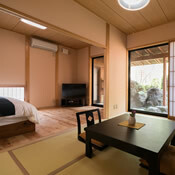 Enjoy the quiet flow of time, and sense the nostalgic touch of traditional Japan. package delivery, in-room massage, and fax transmission/ reception *additional fees may be charged. private open-air bath, floor heating, air-conditioning, toilet with bidet feature, television, refrigerator, electric kettle, humidifier/air purifier, etc. shampoo, hair conditioner, body soap, hand soap, basic skincare products for women and men, cotton facial pad, toothbrush, hair comb, shower cap, shaver and shaving cream, towels, body towel, yukata (Japanese robe), samue (Japanese room wear), yu-tabi (Japanese socks), coffee, tea, Japanese tea, etc. 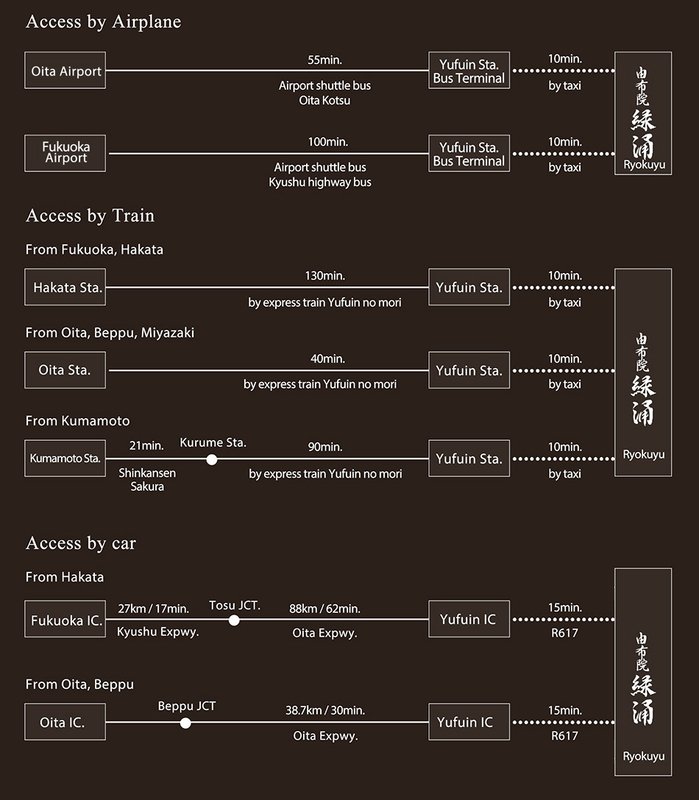 Welcome to Yufuin Ryokuyu, where birdsong and the babble of waterfalls greet you. 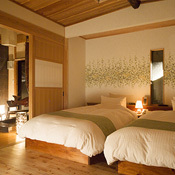 Relax in this Sanctuary away from the hustle and bustle of daily life. The sight with a sense of warmth. Feel the tranquil, harmonious atmosphere. Enjoy a special holiday in this calm and charming hearth. This relaxation space offers a vast view of the city in Yufuin basin. 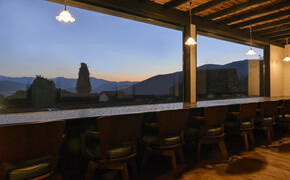 Enjoy a cup of coffee or Kyushu’s specialty, shochu, while gazing at the sky and its slowly changing colors. Filled with the comfortable warmth of wood. 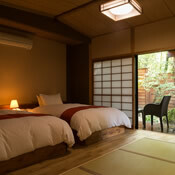 Enjoy Kyushu’s seasonal delights in gentle sunlight and the chatter of birds. The alley leading to the ten cottages is like a walk through a forest. 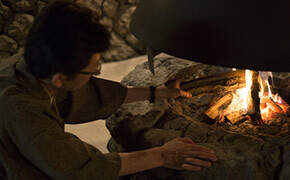 Spend your holiday indulging your senses in the atmosphere, while enjoying the transitions of Yufuin’s natural environment. 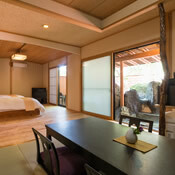 Enjoy your private open-air bath anytime and many times during your stay. Release yourself in nature, make yourself at home. 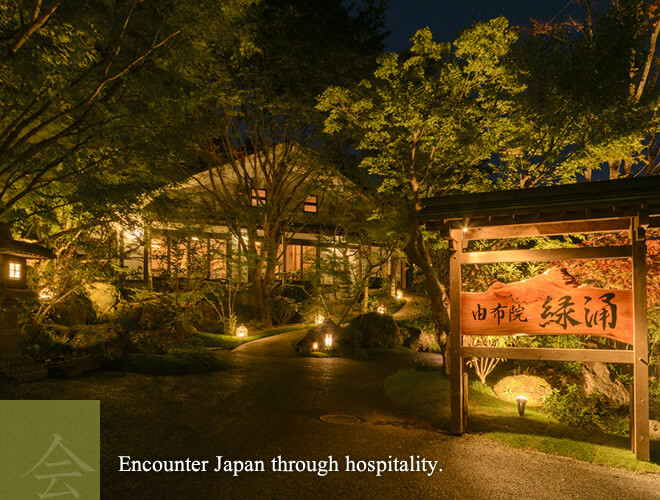 Book now to enjoy soaking in Onsen surrounded by greenery, local-fresh dining, and a genuine Japanese spirit during your unforgettable stay. Rates (per person per night, including dinner and breakfast) * All guest rooms are cottage-style with private open-air bath. 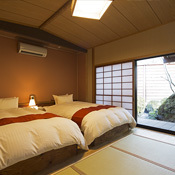 ・There is a minimum of 2 guests per room. 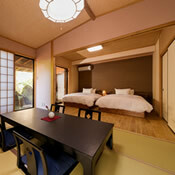 ・The rates stated above are per person, per night (including dinner and breakfast). Service charge is included. bathing tax (150yen per person) is excluded. ・Both dinner and breakfast are Japanese-style meals. Dinner may be served in your room (cottage) or in the dining room. Breakfast is served in the dining room.Please let us know any allergies before hand. ・Please note that we do not have a large public bath. 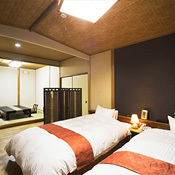 The cancellation fee is based on the date (Japan Standard Time). Copyright FUJITA KANKO INC. All Rights Reserved.